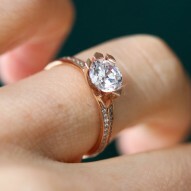 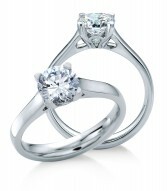 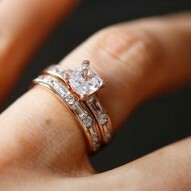 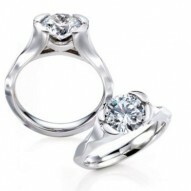 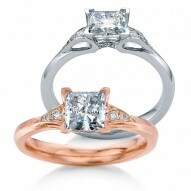 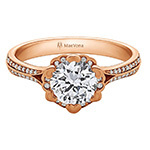 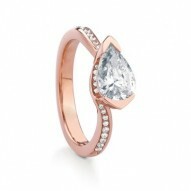 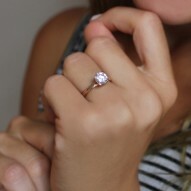 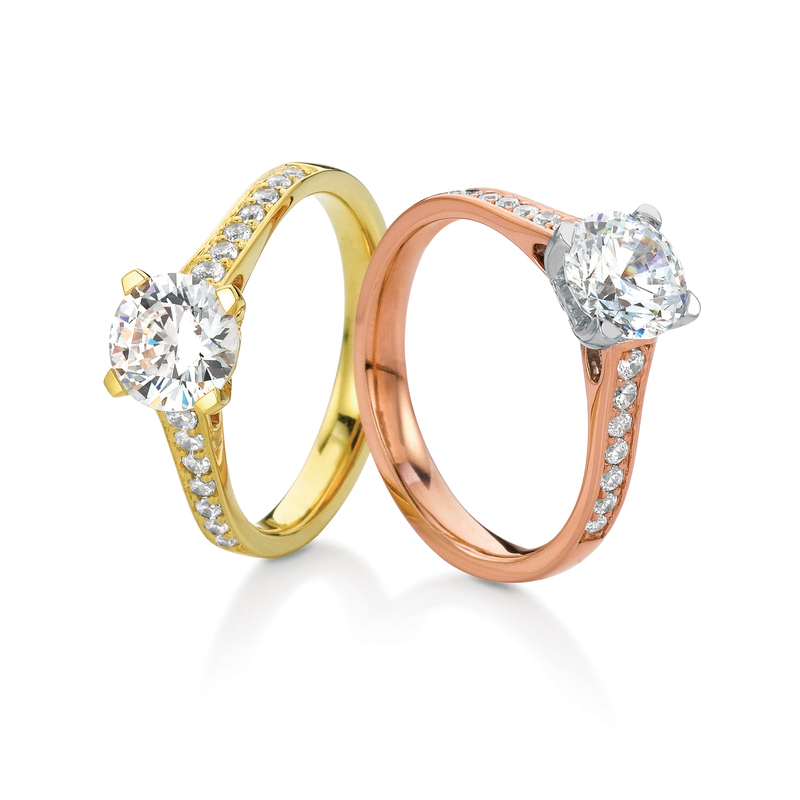 Round brilliant-cut solitaire named after the Scottish island of Bressay. 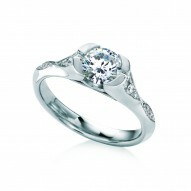 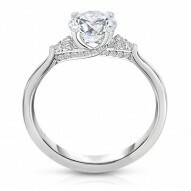 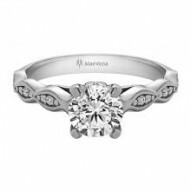 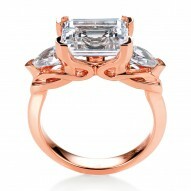 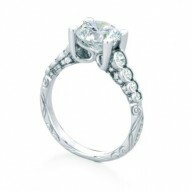 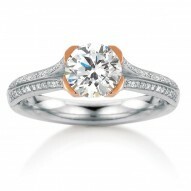 A sleek four-prong design featuring secret diamonds hidden on either side beneath the center stone. 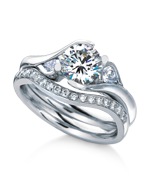 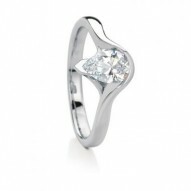 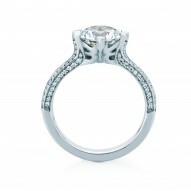 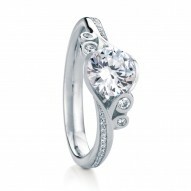 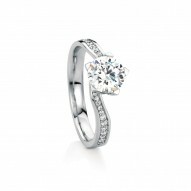 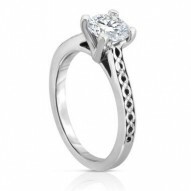 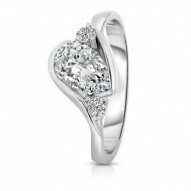 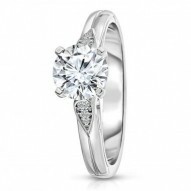 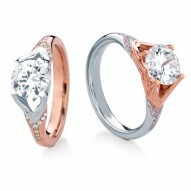 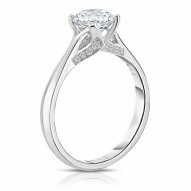 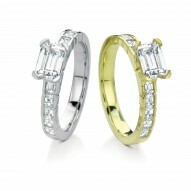 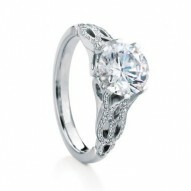 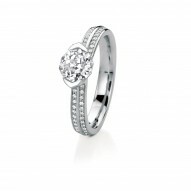 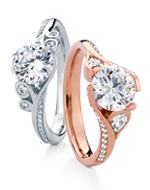 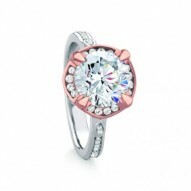 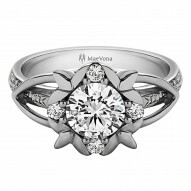 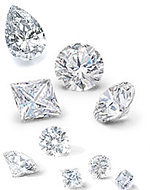 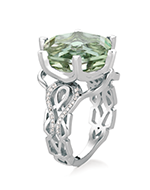 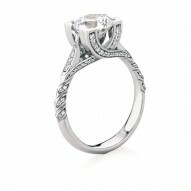 Priced with 0.21ct of HSI round accent and pave diamonds.